There are only so many hours in a day, and when you work in an appointment-based business, it’s easy to feel like your income potential is limited by this fact. But what if you could increase your production within the service — along with the amount you can charge for it? How about offering add-on services that don’t require your active involvement? This way earnings go up, but longer appointment times aren’t needed. Expanding profits without increasing service time begins during the client consultation, with a close analysis of the condition of the hands, feet, and nails. Let’s say a client comes in for a manicure or pedicure and during the consultation she’s found to have dry, rough hands or feet (not calluses). You can help this client with an upgrade that can be done without extending her original appointment time. First, during the consultation, talk to the client about what you’re seeing on her hands or feet and what solutions are available: “Your hands are really rough, chafed, and dry. I suggest we add a scrub to gently remove the roughness, then a good hydrating product that can penetrate and soften your skin.” Be certain to explain the charge for the upgrade. The upgraded scrub and hydration treatment can be managed in the same time as her regular nail service. Begin by adding a scrub product at the beginning of the massage portion of the manicure or pedicure. The scrub is massaged on the skin to exfoliate it, then removed, if necessary. For the remainder of the massage, use a deep moisturizing product, such as one containing shea butter. With her rough, dry skin gone, the client pays for the upgrade, purchases a home care treatment lotion, and schedules an appointment for the following week for a specialty hydration treatment with paraffin mitts. If a client comes in with aging, crepey skin, you can begin to treat the skin and get her ready for a series of anti-aging services starting with her next visit. Ask the client if she would like to see the crepiness reduced on her skin, then tell her how it is done over a series of treatments, with a start today. Explain that home care is important to get her hands ready for a treatment series. The secret to adding the skin treatment without extending the service time is using a 15%-20% lactic- or glycolic-acid hand lotion. These solutions can be purchased from skin care companies; however, regulations vary from state to state as to the concentrations of liquid AHA products nail techs are allowed to work with. Instead I recommend purchasing lotions with a 15%- 20% concentration. Then, the massage portion of the service is broken into two parts. The first three to five minutes of the massage is with the lactic- or glycolic-acid hand lotion. The rest of the massage is done with a lightening lotion (also available from skin care companies). Watch the hands closely during the massage with the glycolic- or lactic-acid lotion — any redness means it is time to stop and move on to the other product in the massage. Upselling is not taking advantage of clients, as some technicians believe. Instead, it is meeting their needs and supporting their beauty — the very reasons they come into salons. Upsold services should account for 15% or more of a salon’s gross revenue, but, sadly, that’s rarely the case with nail departments. Improving the technician’s consultation skills can change this. Client consultations that include upsells can grow salon and technician income dramatically. To do effective client consultations, staff members must learn about common skin and nail conditions and be presented with the appropriate upsells for each condition. For example, is the skin dry? 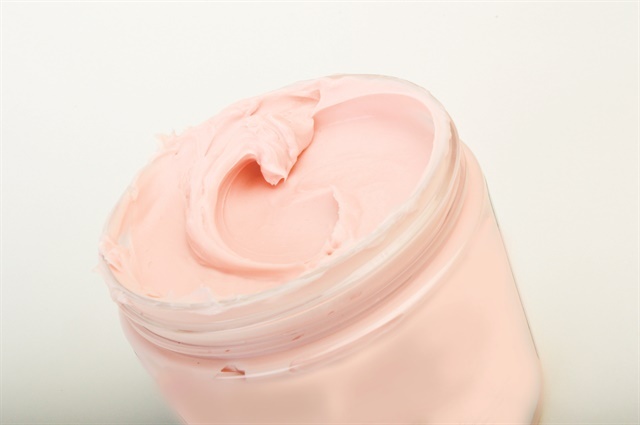 The technician can recommend a solution like exfoliation and paraffin mitts or heated mitts over a hydrating lotion. Home care treatments should be discussed as well. Does the client chew her nails? A structured nail growth series should be recommended to this client. Are a client’s nails weak and tearing off so they don’t grow? A series of weekly nail treatments should be recommended to this client. Before a technician can introduce upselling into the consultation, treatment products must be sourced and the products must be added to the treatment protocols. Staff members must be educated on the benefits of the active ingredients so they can share that with clients. The vital role home care products for effective treatment must also be taught so the technician can educate her clients. LED light treatments can be offered as a standalone service or an addition to a nail service. 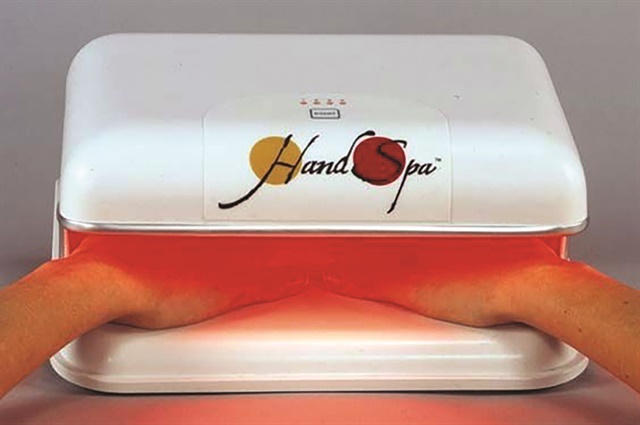 LED light therapy for hands: This therapy is an anti-aging treatment and the services are sold as a series. The client is encouraged to come into the salon between manicures to sit for a 15-minute treatment, as well as adding a treatment before or after her regular manicure. I recommend the Hand Spa by Revitalight (www.revitalight.com) because clients must come into the salon to use it and a professional isn’t needed to set things up or monitor the client. These treatments have been proven to work for the skin on any area of the body, but must be performed often and with home care to be effective. A client can purchase several weeks of treatments, along with sunscreen. Sunscreen must be used during and after the treatment period or it will not be effective. LED light therapy for feet: This treatment is basically the same as for hands, but a different light that’s specially designed for the feet is used. 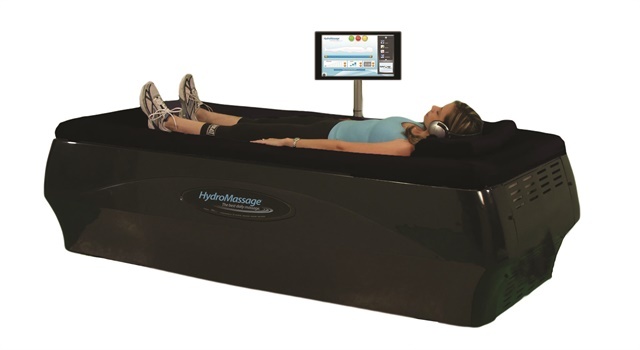 The HydroMassage bed can generate extra income, especially in salons that don’t offer massage. Hydrotherapy chair or bed: This equipment can be used as a passive massage treatment or to calm the nerves of clients when the technician is running late. It is often included in packages as “passive massage,” and is sold by the minute as a standalone treatment, usually at $1-$2 per minute. Clients do not have to undress to use the bed or chair and those who love it will schedule it as a standalone treatment or before or after a manicure or pedicure. Many will just drop in, saying, “I need a massage!” and get on the bed or into the chair. The stress-relief quotient of this equipment is huge. You can learn more at www.hydromassage.com. Salt therapy is used to alleviate some respiratory and skin conditions. 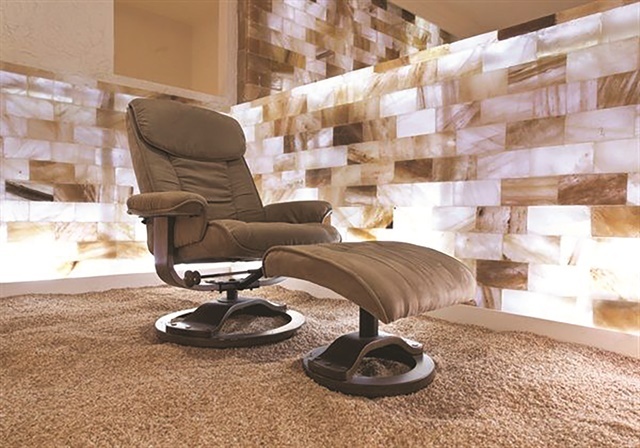 Salt room: A separate room can be set up as a salt therapy room where the client can come in with or without an appointment. The rooms usually have multiple lounge chairs. Breathing in the salt air promotes better breathing, healthier skin, sounder sleep, improved physical fitness and endurance, and overall wellness. Salt therapy salons are being set up around the country and are doing well. Passive services require marketing. Fortunately, the equipment manufacturers usually provide training on how to promote the services. If you’re considering purchasing passive therapy equipment, you should experience them personally first. Selling treatment series can increase salon profits dramatically by raising the number of visits and the tickets per client. Series also require home care, so retail sales increase dramatically. In addition, they keep clients in the salon for maintenance after the series is completed. Almost every service performed in a nail salon can be setup as a series of treatments. As with other upsells and add-ons, selling begins at the consultation. You must educate the client on what a series will do to improve the appearance of her hands, feet, or nails, and on the role home care plays in the improvement. All series should include photos before the first treatment and after the treatments conclude, all taken in similar lighting. Clients forget and the pictures will show them their improvement. Hydration therapy: Dry skin requires exfoliation, hydration, and maintenance. First, the skin is hydrated through a series of treatments, then maintenance services are a must. Anti-aging treatments: Aging of the hands is inevitable, but appearance can be greatly improved with a series of anti-aging treatments, followed by maintenance. The treatments can also be enhanced and maintained through use of the LED light therapy. Hyperpigmentation: This service manages discoloration on the hands/feet and requires a series of treatments with specialty products followed by maintenance with professional-grade home care products. These treatments can also be teamed with LED light therapy. Callus control: The softening and reduction of calluses through a series of treatments and home care is welcomed by clients who have heavy calluses. After the calluses are controlled, maintenance is necessary. Nail growth: This series includes a basic manicure, plus nail treatment and growth activities during the appointment, such as matrix massage on each nail and conditioning treatments for the nail plate.